Today I’m thrilled to introduce my friend and fellow author, Jackie Layton. We met several years ago through Seekerville.com. She’s a beautiful and talented writer and a wonderful person. She’s here to talk about the story behind her recently published novella, In Focus. Jackie’s offering a giveaway to the U.S. readers. Please specify in your comment that you’d like to be entered into the drawing. Even though I didn’t grow up in a family who took beach vacations often, I always dreamed of visiting the beach. Thank goodness my husband loves the beach as much as I do. We’ve been landlocked in Kentucky, but over the years we’ve taken many vacations to Holden Beach, NC. We’ve shared our love of beaches with our families and friends. Holden Beach is near Southport, NC, and Southport is where you catch the ferry to Bald Head Island. Once you step foot on the ferry, the magic begins. I love boat rides. On the island, you can walk, ride a bike, or drive a golf cart. We’ve rented golf carts each time because we’ve gone for day trips and you can cover much more area. 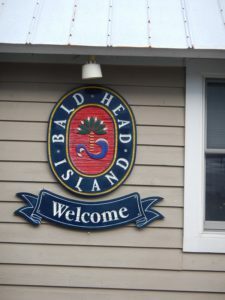 Two years ago, when Jennifer Johnson, Rose McCauley, Loretta Gibbons and I began brainstorming our stories, I pushed for Bald Head Island to be our setting. We considered other beaches, but I convinced them Bald Head Island was the best setting. We had so much fun discovering more about this area and met interesting people along the way. The first publisher we submitted to passed on our stories, and we left them alone until this year. But we never forgot them. Jennifer suggested we try again, and we pitched our idea to Forget Me Not Romances. Soon we had contracts and a deadline. I got busy and worked on mine right away because our youngest son was getting married on July 30. We all made the deadline in time, and this fall Christmastide at Bald Head Island came out in eBook and paperback. This was a dream come true for me. Each of our stories focuses on lost love and fear. Each heroine comes back in contact with their first true love and must decide if they are brave enough to take a chance despite many obstacles in their way. I love the setting and the four strong women in these stories. Miranda Jordan is a photographer and while taking engagement pictures for her niece, she runs into her old love, Logan Hamilton. Logan Hamilton has come home after years on the pro-tennis circuit. His leaving caused Miranda many tears and much heartache, and she wants nothing to do with Logan. It doesn’t help that her niece is engaged to his cousin who Miranda thinks is the wrong man. Miranda and Logan have old conflicts to deal with and disagree on everything about the couple about to get married. During our marriage Tim and I dreamed about living at the beach, but when we left Georgia we headed to Kentucky where our boys could grow up around family. This was a good decision for us, and from time to time we’d imagine what it’d be like to actually live in a beach community. But our roots had been firmly planted in Kentucky, and we’ve never regretted the decision to move home. In the middle of September, Tim was offered a job in South Carolina. We were shocked and couldn’t imagine leaving our family. But in the days that followed, God showed us it was time to follow him to a new destination. We are being obedient to His lead and will pack up our home and head to the beach. We’re not sure why God has called us, but we’re excited to see what He has planned. Do you have a favorite beach? If not, what’s your favorite vacation spot? Link Christmastide at Bald Head Island to on Amazon. **Comment with your answer before midnight Friday, November 18 for a chance to win a signed copy of Christmastide at Bald Head Island (sorry US readers only.) The winner will be announced Sunday, 11/20 in the IR Sunday Edition. **Jackie will be at her day job today, so she’ll pop in and out when she’s able. Jackie, congratulations on your release and on your exciting new journey that is ahead. I do hotels instead of beaches to do my beach reading. Nothing is better than a DO NOT DISTURB sign, room service and tackling a pile of TBRs. Praying for continued success for you on your writer journey. Thanks so much, Tina. I’m not sure I’ve ever had a vacation like yours, but it sounds pretty fun. Room service, reading, and nobody to disturb you. Sweet! Welcome Jackie, thanks Jill for the intro. My favourite beach has to be one near my in-laws place. It is called September Beach, and is a great place to swim, sea kayak and has great sand for castle building! I love hearing how God leads, in unexpected ways, most often to unexpected places. Blessings for the next stage of your journey. I’ve never heard of September Beach, but it sounds lovely. One thing I plan to do is kayak when we get settled. My pleasure, Wemble! Thank you for stopping by. Hi Jackie! Thank you so much for visiting Inspy today! I really enjoyed Christmastide at Bald Head and especially In Focus. It was a great story. For me, the beach has always been my go to place when I need peace and relaxation. Praying for you and your husband and the exciting new adventure God has gifted you both. Jill, thanks for hosting me at Inspy Romance today, and thanks for reading In Focus. Maybe you can come visit me in South Carolina, and we’ll go relax at the beach together. I appreciate your prayers, and I’m excited what God has planned for me in this new chapter of my life. It was a great read, Jackie! I’m so happy for you. Thanks Jill for your wonderful introduction of Jackie Layton. I would like to be entered into the drawing for her recently published novella In Focus. As a retired American literature teacher, avid reader and lover of beaches, the story and the set Christmastide at Bald Head Island sounds intriguing and inspiring. As Michiganders we are fortunate to be surrounded with by pristine white sandy beaches. Within 10 miles I have at least 10 spectacular beaches, one with dunes – Warren Dunes State Park. My favorite beach is Silver Beach with its recently restored Light House and magnificent sunsets. On a clear crisp night one can even see the Chicago’s skyline – 60 miles over the horizon. The best part living near the shores of Lake Michigan is watching lake through the changing seasons. My grandchildren’s elementary school is located two blocks from the lake with a lookout over the lake. Since I drive them to school in the morning, this is our special place to talk. A place of memories as we watch the changing lake and review spelling words and social study tests. Beaches are special and I have been so fortunate not only to dip my toes into four of the Great Lakes, but also the Atlantic and Pacific Oceans on both United States coasts, but on a great beach in Japan. Best wishes on your move, Jackie. Enjoy God’s wonderful creation. I’ve never been to the lakes of Michigan, but I’ve heard they are beautiful. Thanks so much for sharing with us. I’ve been to a few beaches in California and was surprised how cold the water was compared to the Atlantic Ocean. It was my pleasure, Renate. We appreciate you stopping by. Considered yourself entered…good luck! I enjoyed meeting you here (thanks, Jill) and hearing about your beach love, and even more importantly, your love of writing a good story! Like you, I feel that I ‘belong’ at the beach, but only get there on vacations. My favorite is Ocean City, NJ, where my parents began taking me as an infant. We spent a week every summer of my childhood, and once I reached adulthood and moved to the SF Bay area, I made sure to take MY kids there for a week every summer. They fell in love with the NJ long stretches of sand and surf, also, and they introduced their spouses to this special place before they married (hey, it was part of the deal of getting to know the family). :-) Now, every summer I spend a week at my favorite beach with my kids and grandkids. Summertime grace. How great that you can pass on your love of the beach to your kids and grandkids. I fixed a beach basket for my granddaughters filled with things we can use at the beach when they come visit us. My oldest granddaughter is six and wants to help us move when the time comes. She’s such a sweetie! Aw…how great to see you hear, Pam! I’m with you, I “belong at the beach” too. Thanks so much for stopping by today. I really liked this book idea. I’m adding it to my TBR pile. I also love the beach. I’ve been going to my grandpas beach house since I was 1 (or so my mom tells me). I love everything about it (from sand castles and long hours swimming to beach volleyball and reading while lying in a hammock), but it’s even better because I’ve made friends for life there. Friends for life makes it even better, Priscila. We’ve met up with friends I went to college with many times at Holden Beach, NC. Our kids have grown up knowing each other from beach trips. How great to have a grandpa with a beach house. Jackie! What a wonderful introduction to your novella! I’m more of a mountain girl myself, having never liked the beach much (bad experience as a child) but I love enjoying them through the comfort of a book. I know you are really excited about moving to the beach and I can’t wait to see what God has in store for you. Congrats on your release! Thanks so much LeAnne! Maybe you can come visit me and give me a chance to give you a good beach experience! Yes, we all need to got to Jackie’s! Our favorite beach is North myrtle beach, SC. It has such a wide sandy breach that’s perfect for playing and the water is shallow a long way out. Please ensure me on the drawing for the book. It sounds exciting. God bless your move. Hi Diana, maybe we’ll run into each other at North Myrtle Beach! Thanks for stopping by! We were in N. Myrtle in September, Diana. We love it there. Thanks for visiting and you’ve been entered too! Good luck! Thanks for your support Misty! Welcome Jackie! I’m so happy to see you here! I’ve read this story and it’s wonderful! Janet, thanks for your kind words! I live close to Virginia Beach but I can’t say it’s my favorite beach spot. I am from the Caribbean so I am bias when it come to beaches having blue & clear water, – the one where you can see the bottom. Memories. Thanks for sharing these new beach areas. I have never heard of them before. Please enter me in the drawing. Hi Colleen, I bet your Caribbean beaches are amazing! Thanks for visiting today, Colleen. You’re entered! Good luck! I live in Oregon so my favorite beaches are on the Oregon Coast. One which our family goes to a lot is Pacific City. It used to be a sweet little town where there wasn’t a lot of tourist, but recently it’s more crowded. This last year our family had a vacation on the central coast area and we found a sweet house to rent just off the beach. There were many people and it was really peaceful. It was a wonderful time! Hi Marilyn! I’ve always wanted to visit Oregon! It sounds wonderful! Thanks for sharing! 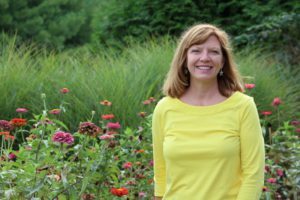 Welcome to Inspy Romance, Jackie! Sounds like a fun collection! My favorite beach is called Long Beach. It’s part of Pacific Rim National Park on Vancouver Island in Canada. Being at the ocean, looking out into the distance of waves and more waves is very soothing to me, even when it’s stormy. We’re considering retirement at the ocean! I think retiring to a beach is perfect! I live in California, and love the beaches on Monterey Bay – you can walk for miles if you want to! It’s always special when we get to see dolphins or whales! The water is cold, but the waves are great. I’d like to be entered in the drawing! Thanks for stopping by today, Margaret. Good luck in the drawing! Congratulations, Jackie–both for the novella and for getting to move to the beach! I’m a beach lover, too, but hurricanes make me a bit too nervous to live that close. At least we’re in driving distance now. One of our favorite beach vacation getaways is Edisto Island, SC. Thanks, Myra! I’ll have to figure out where Edisto Island is. There’s so much to learn. Edisto is maybe an hour or so south of Charleston. It’s not nearly as commercialized as, say, Myrtle Beach. A really cool place to visit in the area is Botany Bay. It’s a completely natural beach, and you can walk, swim, picnic, or whatever, but you aren’t permitted to take any shells or disturb anything. It’s just so beautiful and peaceful! Thanks, Myra. It sounds like a great place to spend some time. I’ll definitely want to check it out! I love the beach! It’s the most relaxing place I know. I live in Alabama so once or twice a year we make the five hour treck to Gulf Shores Alabama. I love the white sand beaches. I could spend hours sitting under an umbrella reading and beathing in the salt air. I wear plenty of sunscreen though because I’ve had several skin cancers removed. Hi Gail! I just got back from Fort Morgan, Alabama! I love it there! In fact, I loved it so much I set my last book there, LOL! Yes, get the umbrella and sunscreen for sure! Hi Gail, I sit under an umbrella and wear sunscreen too. I love to read and people-watch. 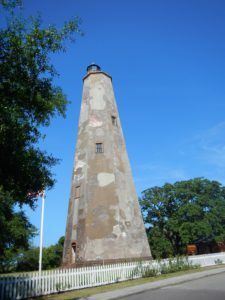 My aunt had a time share on Hilton Head Island for many years, it has always been a favorite summer destination for us. I’ve in upstate SC, where in the state are you headed? Patty, My sister has a place at Hilton Head Island, and I love going there! Maybe I’ll set a story there! We appreciate the visit, Patty! Hilton Head is one of my favorite places. You’re entered…good luck! Hi Patty, I love Hilton Head. I’m going to live in Murrells Inlet. Maybe we can meet sometime! Jackie so glad to see you here promoting your book! And the many comments you received! It is a dream come true for all of us! Let’s get together you move, and maybe next summer we can all go to BHI! Thanks for stopping by, Rose. I loved your novella, Mercy Blooms. Congratulations to you! That would be a fun trip, Rose! Good to see you here at Inspy, Jackie! Wishing you the best in your move. I’m a beach person, but I think I appreciate it more since I’m usually “landlocked” in Indiana (smile). I’ll check out the book. Sounds great! Blessings. Thanks, JoAnn! Living in Kentucky, I’ve been landlocked most of my life except for vacations. I’m pretty excited. Thanks for sharing your story. We lived on Amelia Island, FL, for 12 years. I loved to walk the beach there. I have to say it’s my favorite beach. Hi Merrilee, I’ve heard Amelia Island is great! Thanks for sharing! I’m looking forward to learning all about South Carolina. I think I’ll be close to Isle of Palms. Welcome to South Carolina! I’ve lived in the Upstate for 3 years now and we like it here. I’m originally from Kansas, so haven’t gotten to the beach very much, but one of my friends has taken me several times to Hunting Island State Park near Beaufort and I’ve really enjoyed it there. Thanks for stopping by, Katy. You’re entered! Good luck! Hi Katy, thanks! Are you involved in any writing groups in SC? I’m not. I’m completely a reader, not a writer. Maybe we’ll still run into each other one day. Thanks for stopping by! I live in a small beach community (about 7600) on the Oregon coast & love it!! I can’t imagine living anywhere else. I grew up in Illinois and while I miss my family (aunts, uncles, cousins), I sure love it here. On our 20th anniversary in April, we will be going to Crater Lake OR (actually in May). I’ve lived on the coast since 1996 and have never been there yet. My husband surprised me by booking a week’s vacation there in a cabin by a river :-) I’ve been wanting to go there since I’ve lived here so not only will it be a dream trip, but it will be celebrating a special anniversary for us :-) I can’t wait!! It may be my “new” favorite spot. Trixie, happy anniversary and thanks for introducing me to some great sounding places! I love stories with a beach setting. Makes me want to visit them. Would love to be entered in the drawing. I love beach settings, too. That’s one of the many reasons I enjoyed writing this story. Thanks for stopping by, Pat! Congratulations on the publication of your novella, Jackie!! It sounds so interesting. I’ve only visited beaches in Texas – Corpus Christi, Padre Island, Port Aransas and Galveston – but I loved every single trip! Wishing you all the best, and hope to see more books from you soon! Thanks, Laura. I’ve always wanted to visit a beach in Texas.